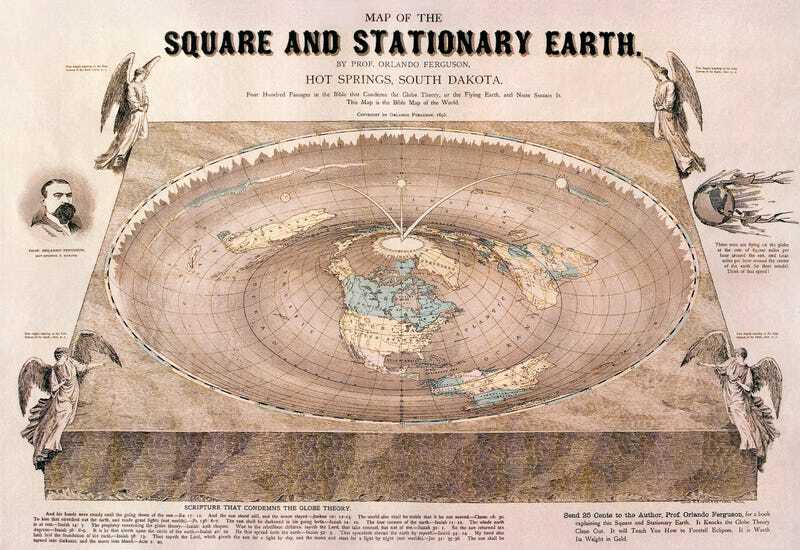 What Would You See at a Flat Earth Convention? This is an interview with a researcher who attended a Flat Earth convention in Birmingham last week. It’s pretty damn interesting and infuriating to read about the attendees mistrust of not just scientists, but anyone who advocates for science that they disbelieve. I know your aim in attending the event wasn’t to change the mind of flat Earthers. But if you were to decide that that is what you wanted to do, is there anything you learned at the convention that could inform about the best way of approaching the task? We have to approach them on a level of joint understanding. When we don’t agree on basic facts, it becomes very hard to find an entry point. The best way would be to show them something that proves the Earth is not flat. Unfortunately, I do not have the money to send each of them to space. But perhaps showing them a rocket launch might be a step in that direction. They were very skeptical of Elon Musk’s recent Falcon Heavy that put a car in space. What about if the physical proof is presented through the eyes of an observer such as an astronaut?